Stamp Fairy is sponsoring our Cupcake Inspirations Challenge this week. 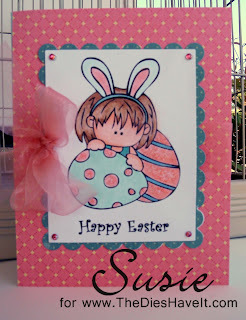 She has some really adorable Easter and spring images. Be sure to run over and check them out. My card is fairly simple. After I colored the focal image, I cut it out with a Spellbinders die and then used a Spellbinders scalloped die for the mat. 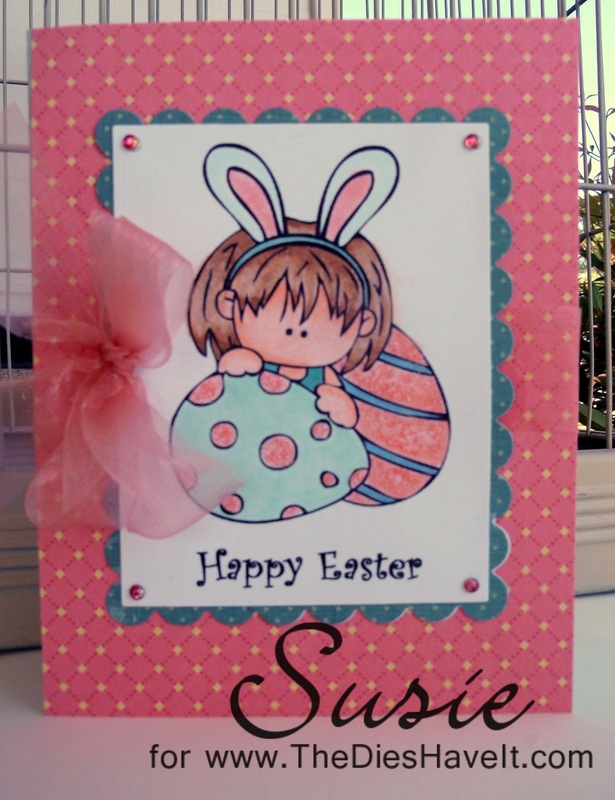 A little sheer pink ribbon and some gems on the corners and my card was done. SUPER QUICK and easy. We would love for you to play along with us this week. The challenge image is below. Be sure to upload your card and be part of the fun! I'll be back tomorrow with another fun card to share. So sweet, I love your bow. Just adorable Susie! Love that bow!